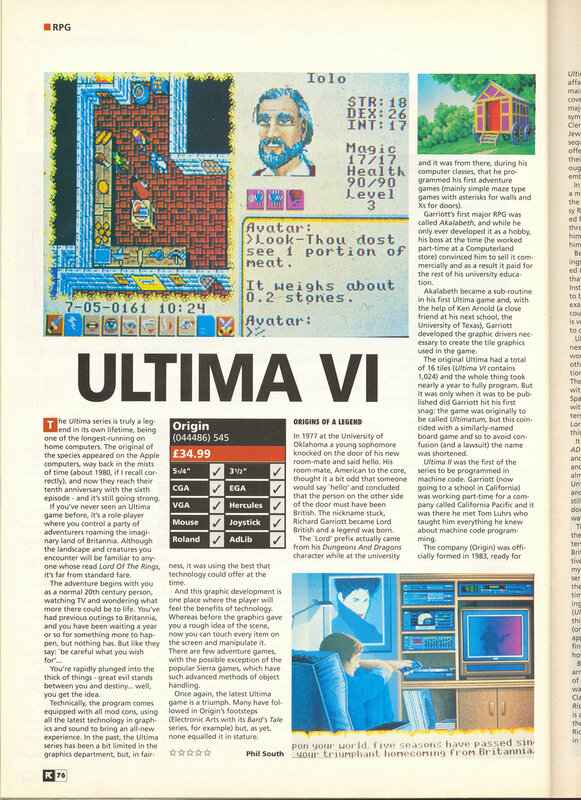 This is a review of Ultima 6 from PC Leisure, issue 2 (Summer 1990). The review is about as positive as it gets but extremely short. There is a longer section on the history of Ultima most of which is achingly familiar but there were a couple of things in here I didn’t know. I didn’t realise that Origin had bid for the D&D license only for their offer to be turned down before it ended up with SSI. I expect I should know this however and may have read it before at some time. SSI did some good games with the license but I can’t help but feel that Origin could have done more. Having said that, we probably wouldn’t have got all the fantastic Ultima spin-offs so it was possibly for the best. I’d definitely never heard that Tom Clancy was a massive Ultima fan and included the game in one of his books. If he was ever included as a character in an Ultima, I can’t recall it. Does anyone know what book he mentions Ultima in? 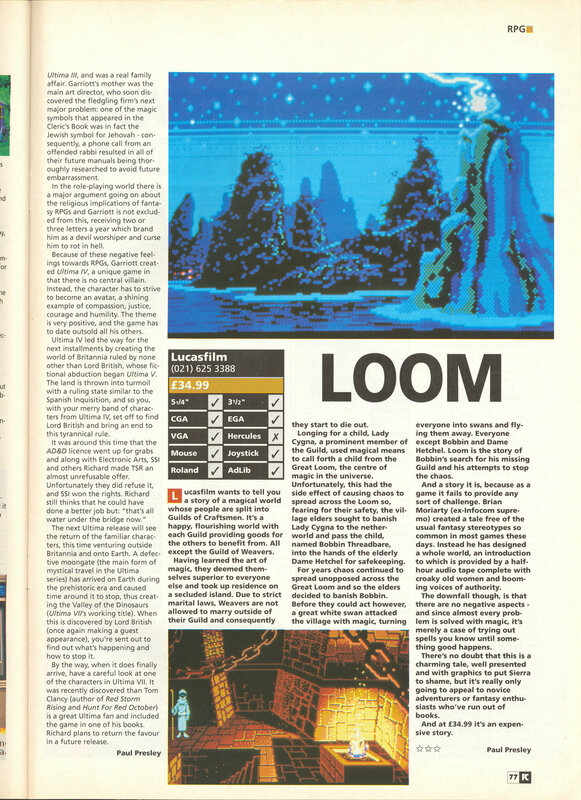 This entry was posted in Magazine Scans, Ultima 6 by Pix. Bookmark the permalink. That’s interesting about D&D! They tried for Star Wars, too, with Wing Commander… probably for the best that neither attempt worked out. These scans are extremely impressive. Even more so, perhaps, is the fact that you managed to find some PC Leisure magazines! I really should have credited them at the time but better late than never.